Vichai Srivaddhanaprabha was born Vichai Raksriaksorn. He is a Thai billionaire businessman, founder, owner and chairman of King Power Duty Free. He became the owner of Premier League football club Leicester City in 2010. But on Saturday night, world football was struck by a terrible tragedy when a helicopter carrying him and four others crashed outside the team’s stadium. Srivaddhanaprabha is not really a surname, but an honour. In fact, the king of Thailand granted it to Vichai’s family. 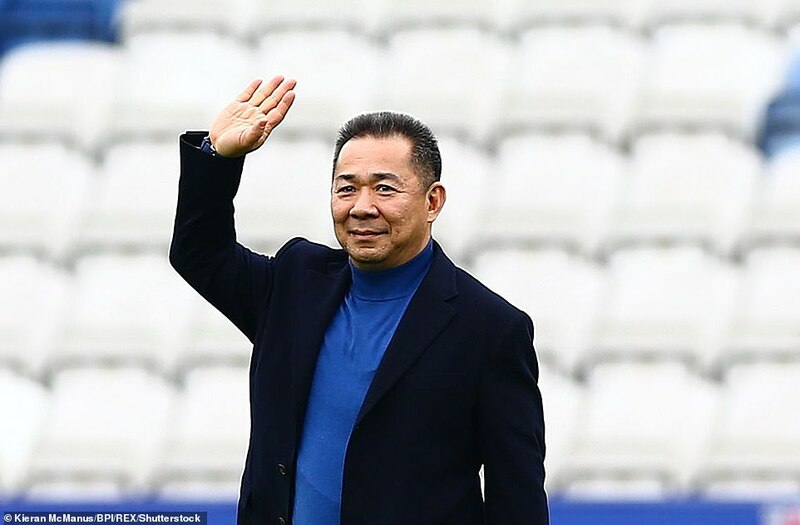 The Thai billionaire arrived at Leicester in 2010 with a group of Asian entrepreneurs. A year later, he became the president of the club. He took over the team in the Championship, but in a short time, the club rose to glory. After getting eliminated in the playoff semifinals in 2013 against Watford, Leicester earned promotion a year after that. The team led by Jamie Vardy, who played in the eighth division just a couple of years before, joined England’s best teams in the Premier League. The enthusiasm of Srivaddhanaprabha was skyrocketing. He promised to make Leicester great, promised to enlighten the team with “light of progressive glory”. In 2015 the team managed to survive in England’s top-flight just thanks to a miracle in the final part of the season when the team won seven matches from nine. After guiding the team to salvation, coach Pearson was sacked and replaced by Claudio Ranieri, who will later become the “Normal One”. Srivaddhanaprabha gave Ranieri another chance after several negative spells, lastly with the Greek national team. And he made the most of it, giving the Leicester fans a title that for everyone, including bookmakers, seemed impossible at the beginning of the season. Kasper Schmeichel, the son of legendary Petr, the legend of Manchester United, the Jamaican captain Wes Morgan, midfielder Danny Drinkwater and N’golo Kante, as well as the Algerian magician Riyad Mahrez and the bomber Jamie Vardy. These are the many protagonists of an unforgettable team that conquered fans even outside the borders of Britain.